In the American slasher movies of the 1980s, virginity was considered a key to survival. Unfortunately for Nico, this is a Spanish film. 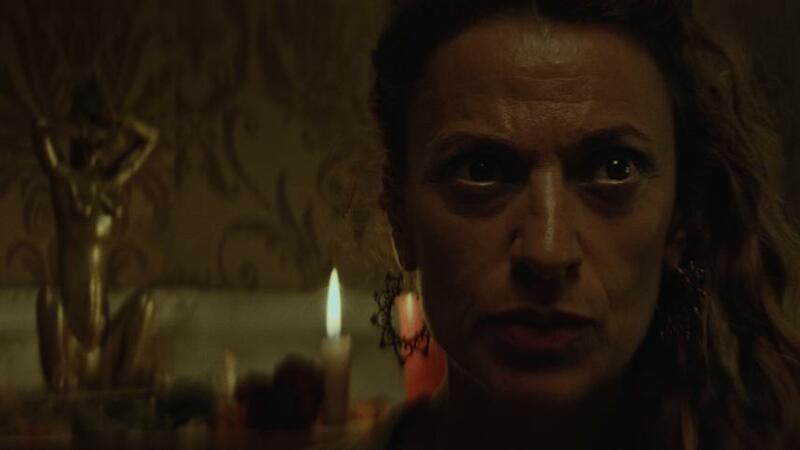 He is totally screwed and not in the way he had in mind throughout Roberto San Sebastián’s Night of the Virgin (trailer here), which releases today on VOD. It is New Year’s Eve, but Nico can’t get the time of day from any of the women in the bar where his friends are partying. Suddenly, he locks eyes with a cougar and they are off like a prom dress. When he gets to her apartment, he realizes Medea isn’t exactly what he thought, but desperate times, etc., etc. However, her apartment is just kind of gross. There are cockroaches scurrying everywhere and for some reason she keeps a jar of her menstrual blood in the bathroom. She also has a thing for Nepalese artifacts. That might sound classy, but we immediately suspect they are part of something more nefarious. There is probably something off about Medea, but there is no question her ex-boyfriend violently pounding on the front door is a jealous nutcase. Nico would prefer to slip out quietly, but neither will let him get away so easily. Then things get bloody. Javier Bódalo also deserves credit for being rubber-faced, rubber-boned, and having a superhuman tolerance for humiliation as poor Nico. Likewise, Miriam Martín chews all kinds of scenery as the increasingly deranged Medea. Just like Bódalo, she does all of her work in the third act buried under layers of gunky makeup and practical effects. Damn dudes, for real. If Night of the Virgin is not a notorious cult movie by tomorrow than we just don’t know what else San Sebastián and his crack makeup and effects team could have done. There is no holding back here, so when its over, you know you saw something. 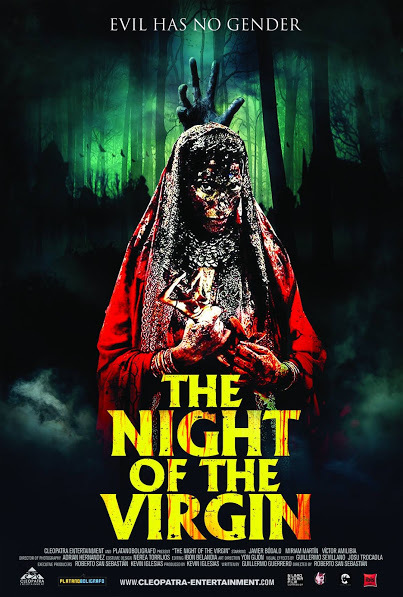 If this sounds like something you’re still interested in than you’d better watch Night of the Virgin when it releases today (6/12) on VOD platforms, including iTunes.